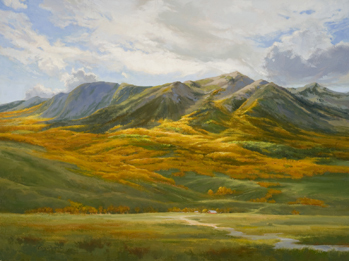 Cecy Turner is an award-winning artist who has been painting in both oil and watercolor for the past thirty-five years. Her variety of subject matter shows her lifelong love of the outdoors and her interest in the properties of light and shadow as well as the different moods that atmospheric conditions create. Cecy’s work has been selected for numerous national exhibitions, including Oil Painters of America, Top 100 Arts for the Parks, Top 100 Paint the Parks, American Artists Professional League Grand National Exhibitions, National Watercolor Society, American Plains Artists, Salon International and National Oil and Acrylic Painter’s Society. Her paintings have won awards in most of these competitions. 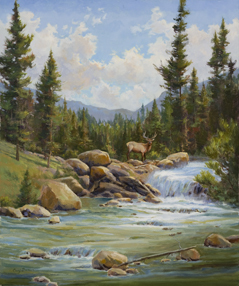 Her most recent awards include the Merit Award for Landscape in the Salon International at Greenhouse Gallery in San Antonio, TX, Award of Excellence in the National Oil and Acrylic Painters Society "Best of America" and the Irving Art Center $1,000 Award of Excellence in the five state Texas and Neighbors Exhibition. Cecy’s work has been shown in numerous solo and group shows in the United States and Japan. Her work is found in private and public collections throughout the United States and Europe, such as the Brevard Art Museum, National Audubon Society and Paralyzed Veterans of America, to name just a few. Cecy is a signature member of the National Watercolor Society, Southwestern Watercolor Society, National Oil and Acrylic Painters Society, Plein Air Artists Colorado, American Plains Artists, Outdoor Painters Society, Women Artists of the West (current President), Associated Creative Artists and Texas and Neighbors. 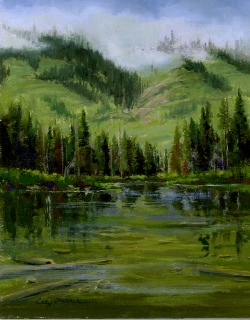 She is a Fellow of the American Artists Professional League and a member of the Outdoor Painters Society and Rocky Mountain Plein Air Painters. Articles about Cecy have been published in American Artist Magazine, Watercolor Artist Magazine (cover artist February, 2010), Watercolor Magic Magazine, Art if the West Magazine and North Light Magazine, and her work has been featured in The Best of Flower Painting. She was designated by Southwest Art Magazine as an "Artist to Watch" in their July, 2006, issue.